The Twisted Melons return to King Tuts Wah Wah Hut in Glasgow to celebrate the launch of new single “Change Is Gonna Come” on Saturday 23rd March 2019. Come and join us for the UK’s last weekend in the European Union! “Scotland is a clear target for hostile state and non-state actors and provides conditions which are ripe for exploitation due to its position as an independent nation operating under devolved power arrangements during a time of crisis from the United Kingdom. We’re very happy to have been asked to support Boy Azooga at King Tuts Wah Wah Hut in Glasgow on Thursday 11th October. Aftershow DJ set from Man Of Moon. Limited tickets available from our shop. 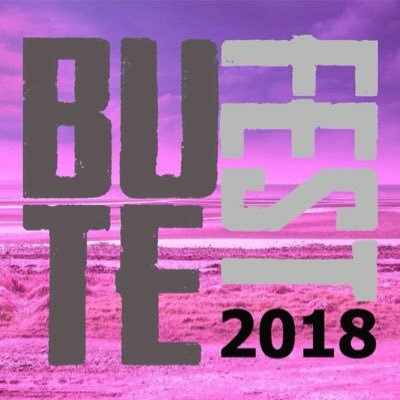 The Twisted Melons are delighted to announce that we have been added to the bill at ButeFest 2018. We will be performing on Saturday 28th July. The Twisted Melons release the first single from their forthcoming 5th album on Friday 4th May 2018. A new video for Love is a Drug by The Twisted Melons, from the album West of the Rock. www.thetwistedmelons.com www.facebook.com/thetwistedmelons www.twitter.com/twistedmelons Video by Paul F. Wilkie. On stage, and undaunted, in Mad Hatters were The Twisted Melons. Hailing from Campbeltown, Kintyre they set off with a slow burning opener letting the guitar do the talking. Second song, and first track from their new album, West of the Rock gave way to more melodic rock. This set the tone for the rest of the set but Maybe It’s Not The End Of The World gave a funk edged twist which was more than well received. An impressive start to the night. Good enough for me to contemplate buying their new album. Click, click, just done it. The Twisted Melons launched their new album, West of the Rock, at The Old Hairdressers on Saturday 2nd April 2016. Audience member Calvin Brown captured this image during the encore. Huge thanks to everyone who came along and to our friends Acrylic and Old Town Rituals who provided excellent support.